Jamil Nazarali is Global Head of Business Development for Citadel Securities. In this role, he is responsible for identifying opportunities for global growth and expansion across markets and into new, diverse product lines. Prior to assuming his current role, Mr. Nazarali served as a Senior Advisor to Citadel Securities CEO Peng Zhao. Before that, he was Head of Execution Services, overseeing the firm’s client market-making offerings in equities and options. He joined Citadel Securities in 2011. Mr. Nazarali previously was Global Head of Electronic Trading at Knight Capital Group, and earlier was a management consultant at both Ernst & Young and Bain & Company. 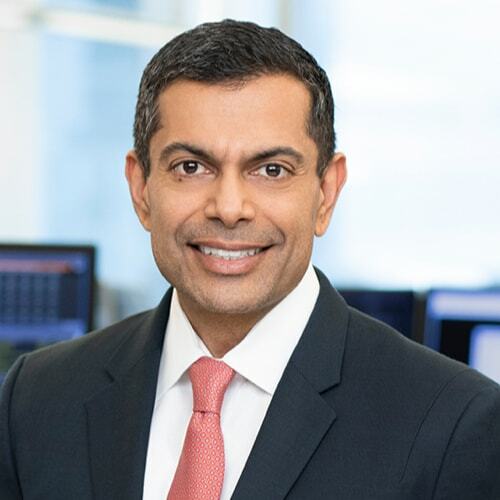 Mr. Nazarali sits on the Board of Directors of Symphony, a messaging and collaboration platform, and serves as an Advisor to DARPA’s Financial Markets Vulnerabilities Project. He received an MBA with high honors from the University of Chicago and a bachelor’s degree from University of Western Ontario.